A month ago my friend suggested I read “We Should All Be Feminists” by Novelist, Chimamanda Ngozi Adichie. A book filled with sarcasm and levity, controversial topics, social awareness and that is the true definition of feminism. It’s a quick-easy read for those on the go. Though the book can be finished in a day’s sitting, Adichie’s tone throughout the novel is tempting to reread word for word. I never been a book worm, hence my reading grade point average during elementary remained below average. I avoided reading because the stories my school put on the shelf were not relatable. 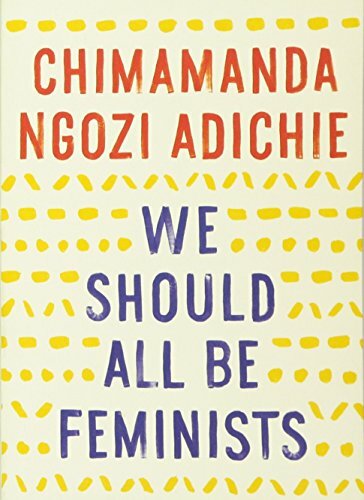 But I enjoyed this book because not only do I celebrate being a feminist, but Adichie was smooth in her delivery using contradicting words with a sense of humor. Years ago I was uneducated on economic rights for women, so I was determined to study why it was a controversy between men, women and religion. It is a lifestyle I was taught should not be lived and is a spirit of lesbianism. However, after my research I support feminism. You probably will not catch me joining any feminist groups or participating in seminars about why being a feminist is important. Why? Because I try my best to live as one in hopes those who notice will either question in good curiosity or transform their ways of thinking like Aidchie, myself and other feminists more powerful than myself, such as Hilary Clinton and Oprah Winfrey. Not all things we can control, but ourselves. Our mind, our thoughts and desires are of our own will. To point fingers at the opposite gender only brings strife and to blame men for unequal opportunity is a bit childlike. Together we are able to work in harmony and as women, if we want change in society we are smart enough to make the transition by living within our means. BTW, our means are limitless. I’m sure you can relate to this title, especially with the monochrome times in today, life can get very frantic. On the job, your boss may avoid giving you the raise you deserve. Within your family, you might be fighting against your own blood. In love, communication strategies between your partner isn’t effective as you hoped. Or in your community, you may be frowned upon because of your colored skin or gender. Not every situation we will have control over, but one thing we can develop is a clean space internally. Not long ago I had a mental breakdown. More and more fire was lit to an argument that I didn’t know how to resolve. Mentally, I was taken back to a dark, domestic state of mind and it was a struggle to doing anything, even eat. 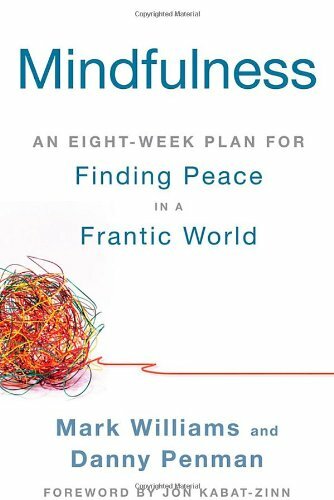 However, reading this book has helped me with breathing techniques similar to yoga. The practices can be done within my daily routine even at work. It doesn’t take me away from my schedule but teaches me how to incorporate mindfulness everywhere I go. Writers, Mark Williams and Danny Penman developed meditation practices to educate the benefits of mindfulness. The book is proven to help dissolve anxiety, stress, and unhappiness and enhance your mind. Both authors said it helps readers discover a happier, calmer version of themselves. 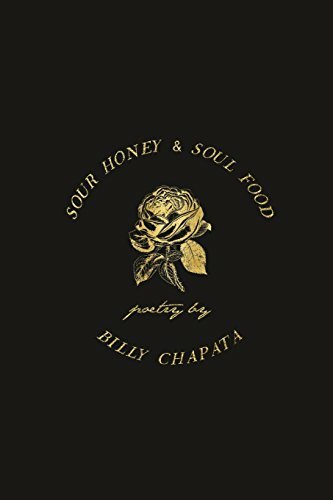 I discussed “Sour Honey & Soul Food”, written by Billy Chapata on last week’s post. So I won’t go in much detail, but to say at the least…it’s a classic book written in poems and musings. Reading it feels like popping a fresh peppermint when you need awakening from tiredness. Many poems show women it’s natural to be vulnerable and to be comfortable with herself. The title speaks to me like it’s a recipe book for people to find love wherever they lost it. Whether that’s within themselves, in a past lover or future partner. Chapata’s gifts us with the secret ingredients to spice up life through natural events that once felt tasteless. Each book (so far) has helped shaped my mindset on how I should navigate in life keeping a peace of mind regardless of circumstances. In the past few years, women as a body have knocked down strong barriers against society’s stereotypes. These books are great to read to help us continue developing our relationship with self to best serve our community and people who surround us. This journey is more than self-development. It is the development to build YOU in hopes you return your wisdom and knowledge to the next generation. Keep being vulnerable, keep loving yourself and share your good heart with the world! Comment and share!